Mu-Fungata Safari Lodge is designed to harmonize with its natural surroundings. Eight individual secluded, thatched cottages (including a family cottage) blend in with the indigenous trees that line the bank of the river. The accommodation inside, the spacious rooms are traditionally decorated with colourful ethnic fabrics. From the veranda you can gaze out over a magnificent view of the tranquil river. The day's silence is broken only by the sweet song of birds and the snorting of hippos wallowing nearby Kafue National Park. Mu-Fungata Safari Lodge is situated in the game management area of the Kafue National Park in Zambia, surrounded by natural salt pans which attracts wild life. 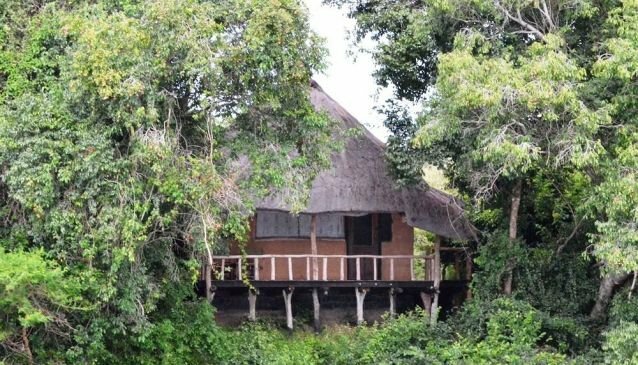 Mu-Fungata has a swimming pool overlooking the natural pond which accommodates many species of birds.